Kathy Hester knows her kitchen tools; in fact, so far she’s published books on vegan cooking with a slow cooker, air fryer, and the Instant Pot. Tools like these can be a bit intimidating to newbies, so I really appreciate what she does. Her book, The Ultimate Vegan Cookbook for your Instant Pot, taught me to use mine with confidence. 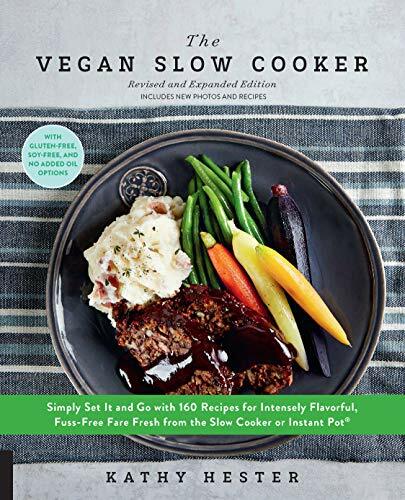 So when her revised and expanded edition of The Vegan Slow Cooker was announced, I was happy to check it out! The book features all new photography, new tricks for streamlining recipes, and 20+ new or updated recipes. 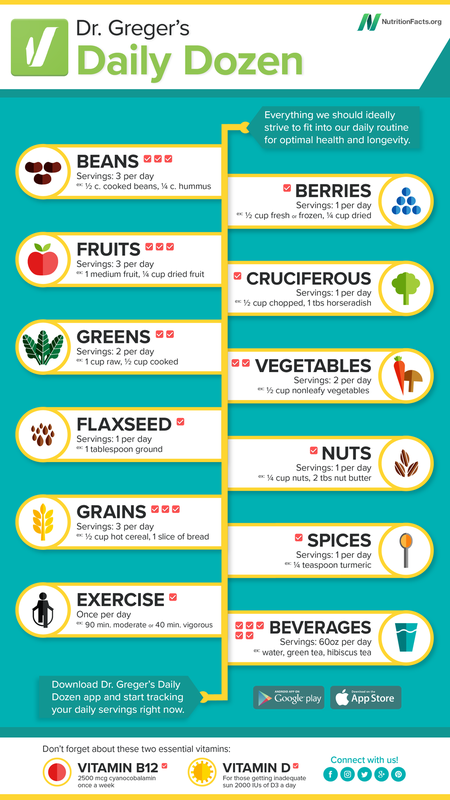 I love the variety of recipes, from Pear and Cardamom French Toast Casserole to Hungarian Mushroom Soup to Slow Cooker Rosemary Whole-Wheat Rolls to Kung Pao. There’s a helpful Vegan Slow Cooker Basics guide to start with, and the first chapter of recipes is entitled, No-Time-to-Prep-Recipes. Thank you, Kathy! Nearly every recipe has a gluten-free, soy-free, and/or oil-free option, too. Yep, I recommend this book! 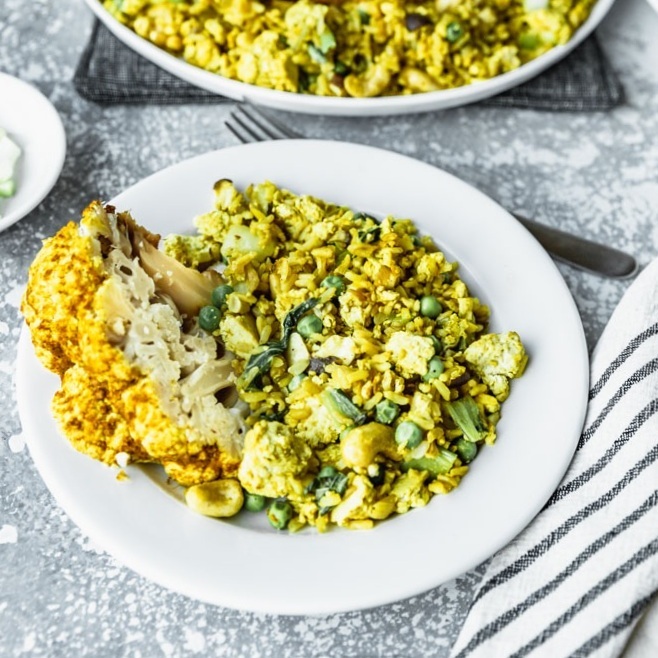 This Curried Roast Cauliflower recipe from the book is super simple to make, with only about 15 minutes of hands-on time. If your slow cooker is big enough, you can leave the cauliflower whole - which is a fun way to serve it. This is a recipe that goes well with a strong side of rice or quinoa, a dal or masala dish like in this cookbook, or Quick and Easy Curry Fried Rice, pictured here. The curry-on-curry doesn’t seem too much with this combo, since the cauliflower curry is pretty mild. Since the fried rice calls for curry powder of your choice though, the outcome will vary. If you prefer, you can leave out the curry in the fried rice to make it simply fried rice - so delicious! I also like keeping some of this cauliflower on-hand in the fridge to add to salads or soups. 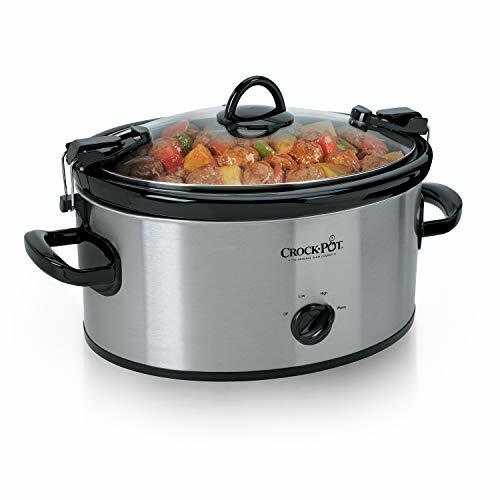 Below are a few slow cooker options for this recipe. I use my Instant Pot set to Slow Cook, which works well as a slow cooker in addition to its many other features. 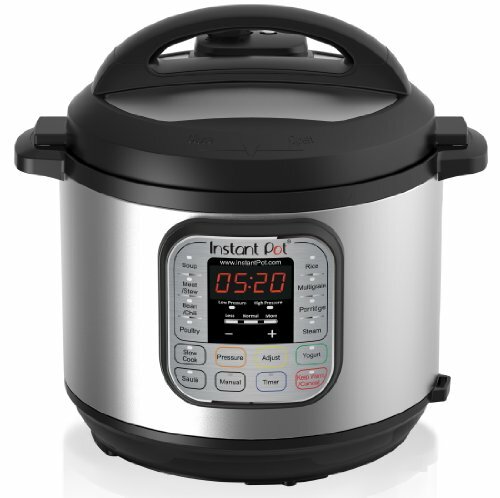 If you are after a tool that will help you get food out more quickly with a pressure cooking feature, I’d go with the Instant Pot. I also love it because it’s stainless steel and you can sauté in it. 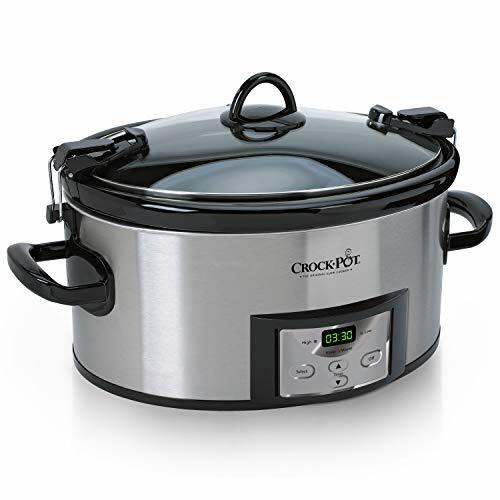 Slow cookers like the Crock-Pot tend to be less expensive and they’re a great option if you will be slow cooking a lot and don’t also need a pressure cooker or the sautéeing feature. I like cooking dried beans in them to avoid a mess I tend to make when I cook them on my cooktop! Below are links that will take you to Amazon to learn more about the products and purchase if you’d like. As an Amazon Affiliate, purchases made through these links benefit Beautiful Ingredient at no extra cost to you. It’s a great way to support our efforts. Thank you! 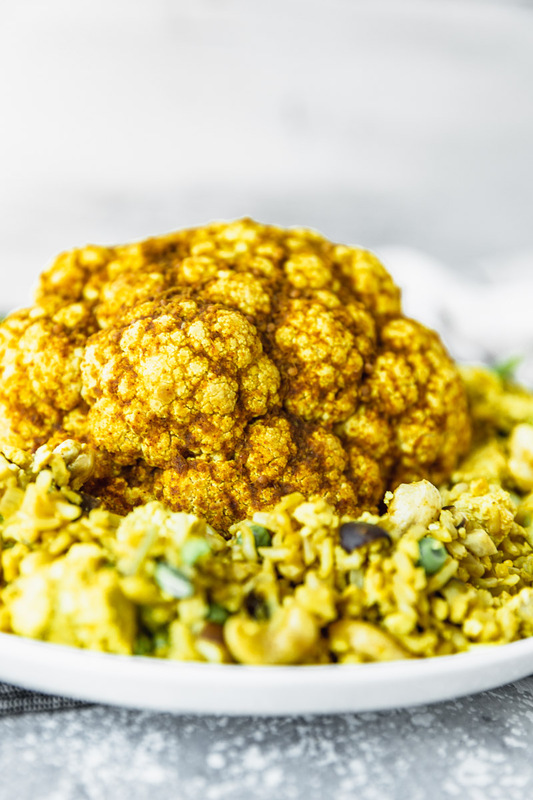 Author’s note: A whole head of cauliflower with a baked-on curry paste makes this recipe into a showstopper! Serve with the Tofu Masala or the Sweet Potato and Chard Dal (in the cookbook) and steamed rice for an impressive dinner. Kari’s note: This recipe is really easy to make, with just 15 minutes or so hands-on time. My family loves it with Quick & Easy Curry Fried Rice and I love keeping leftovers in the fridge to add to salads or buddha bowls. Use aquafaba or oil to grease your crock, or line with parchment paper. Place in the prepared cauliflower. Note: if your cauliflower doesn’t fit in your slow cooker, you can break it into large pieces. Mix together all the curry paste ingredients and pour over the cauliflower. Cook on low 7-9 hours or high for 4 hours.